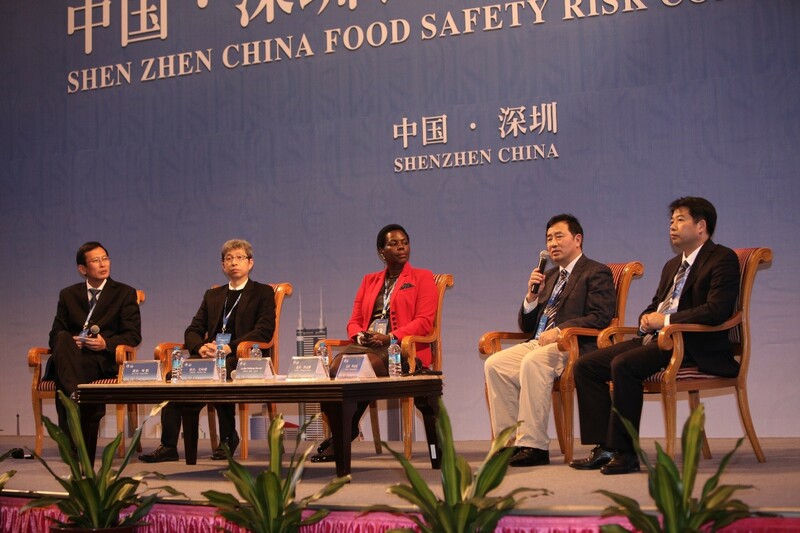 The Codex Chairperson, Mrs Awilo Ochieng Pernet, attended the Shenzhen China Food Safety Risk Communication Conference which took place in Shenzhen, China on 28th and 29th November 2016. 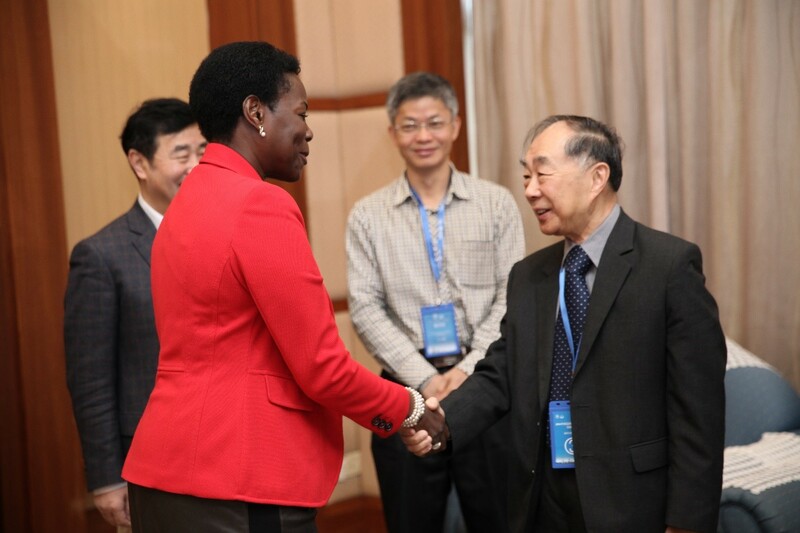 Hosted by the Shenzhen Food Safety Commission Office, the Food and Drug Administration of Shenzhen Municipality and organised by the Shenzhen Institute of Standards and Technology (SIST), the Food Safety Risk Communication Conference was attended by more than 400 participants representing stakeholders from relevant sectors including government officials, industry, consumer organisations and academia. Mr Yuyue Gao, Deputy Secretary of the Shenzhen Municipal Government, Prof. Junshi Chen, Chairperson of the Codex Committee on Food Additives and Dr Xiaoxi Du, Deputy Director, China Food and Drug Administration officiated at the Opening Ceremony. On this occasion, an agreement was signed by the Hong Kong and Shenzhen food safety authorities in order to foster food safety and quality collaboration. In her presentation entitled “The Importance of Food Safety for Consumer Protection and International Trade” the Codex Chairperson stressed the importance of effectively implementing and enforcing Codex standards as part of the holistic food chain approach in order to protect the health of consumers and ensure fair practices in the food trade. Mrs Ochieng Pernet also highlighted the importance of risk analysis principles and scientific advice in the development of Codex food safety standards. Noting the importance of engaging with all relevant stakeholders within the risk analysis process as outlined in the Codex Working Principles for Risk Analysis, the Codex Chairperson commended the very active participation of consumer representatives at the Conference. In the ensuing discussions, Mrs Ochieng Pernet responded to participants’ questions about the relationship between Codex standards and the WTO SPS and TBT Agreements, on the important current and emerging food safety issues identified by the various FAO/WHO Regional Coordinating Committees. The Codex Chairperson also participated in a Panel discussion chaired by Mr Peng Zhou, Vice-President of the SIST who is also a regular delegate at Codex meetings. It is critically important to communicate effectively on food safety to prevent foodborne diseases and to ensure safe and nutritious food for all. In her concluding remarks, the Codex Chairperson congratulated the organisers on the excellent staging of the Shenzhen China Food Safety Risk Communication Conference noting that it was timely due to the critical importance of communicating effectively and raising awareness about food safety in order to prevent foodborne diseases and to ensure safe and nutritious food for all. The Codex Chairperson requested the organisers to consider inviting speakers and participants from different Codex regions to attend future Shenzhen China Food Safety Risk Communication Conferences in order to share experiences and best practices and to learn from each other. The Codex Chairperson also met with SIST staff members on the margins of the Conference in order to discuss their food safety risk communication strategy and activities. Mrs Ochieng Pernet shared with them experiences from various Codex member countries including her recent discussions with the Communication’s team from the Chilean Agency ACHIPIA.